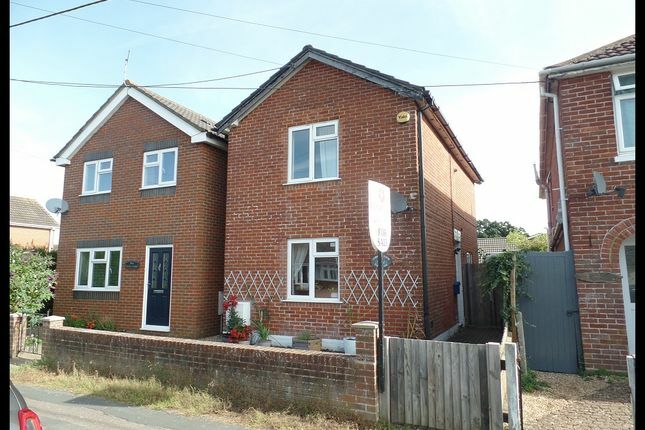 Hamwic Independent Estate Agents are pleased to bring to market this well presented 2 bedroom detached house located in Central Totton. Benefits include a refitted kitchen, refitted bathroom, replaced fixtures and fittings, a detached workshop and offered with no forward chain. A viewing is highly recommended. living room; smooth and coved ceiling, double glazed window to the front aspect, two replaced vertical radiators, laminate flooring, TV point and dimmer switch. Dining room; smooth and coved ceiling, down lights fitted, double glazed window to the side, double glazed door to the rear/garden. Part glazed door to kitchen, further door to under stairs storage cupboard with light fitted, laminate flooring and replaced vertical radiator. Kitchen; smooth ceiling, double glazed window to the rear, wooden work surfaces with modern glossed units and drawers to the base level with further matching eye level units. Integrated gas hob, electric oven with stainless steel extractor hood above, 1 ½ bowl “butler style” sink with mixer tap. Integrated fridge and separate freezer pull out pantry cupboard, dishwasher and oak shelving to eye level. Laminate flooring. bedroom one; smooth ceiling, double glazed window to the front, replaced vertical radiator, TV point, door to corner cupboard housing combi boiler, further storage (access to the loft which is part boarded). Bedroom two; smooth ceiling, double glazed window to the rear, replaced vertical radiator and TV point. Bathroom; smooth ceiling, obscure double glazed window to the side, modern refitted suite; free standing bath with mixer tap and shower attachment fitted. Corner shower cubicle with shower fitted, low level WC, vanity unit with basin onset, heated towel rail, extractor fan fitted and tiled flooring. There is a door to a utility cupboard housing space and plumbing for a washing machine and further space for a condenser/dryer. Outside ~ rear garden; brick set pathway to the front, access via wooden gates at the side. Brick set patio and path continuing to a personal door into the detached workshop at the rear of the garden. Remainder of the garden is laid to lawn with shrubs to borders. Courtesy light and tap fitted. The workshop is fitted with an up and over door to the front which can be accessed via Hawthorne Road. Power and lighting fitted. Pitched roof with further storage fitted.